At Origin Dental, Dr. Tran and our team will treat your family as we would our own. We have a fun, upbeat approach to dentistry that will make your child’s visit memorable and positive, and we always do our best to keep kids entertained and enthusiastic about oral health. 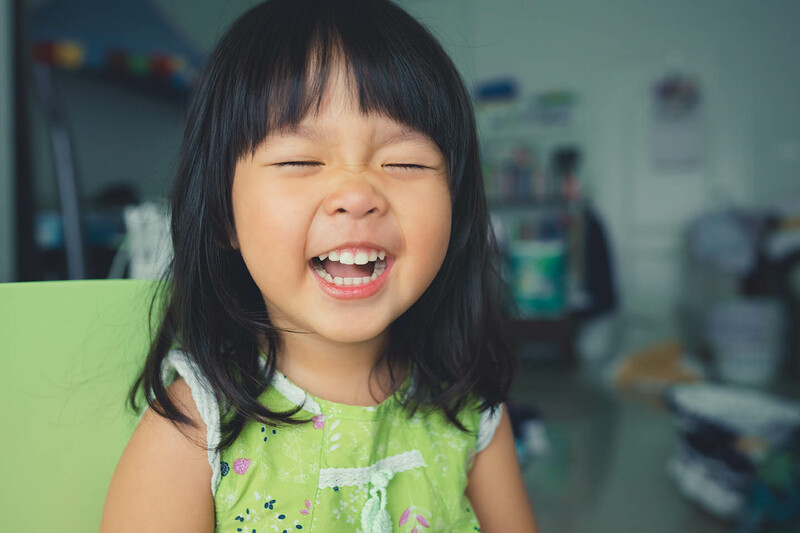 Dr. Tran will gently assess your child’s dental health, offer preventive care solutions, and answer any oral care questions you may have. According to the American Dental Association, you should bring your child to their first dental appointment by their first birthday, or when their first tooth erupts. This helps establish a healthy relationship with their doctor, making dental anxiety much less likely as your little one grows. It also helps familiarize us with your child's oral health and ensures that they stay on the path toward exceptional dental health. To schedule a pediatric appointment, call us today at (858) 264-2555. How do fluoride treatments protect my child’s teeth? Along with dental sealants, fluoride treatments are one of the most effective ways to maintain excellent dental health in children as well as adults. Fluoride remineralizes tooth enamel which strengthens the teeth and can even reverse minor cavities and tooth decay. Fluoride can combat damage caused by sugars, plaque, bacteria, and cavities. Call us today at (858) 264-2555 to learn more about this treatment and keep your little ones safe. How do dental sealants help protect my child’s teeth? Dental sealants can protect your child’s teeth from damage caused by sugary foods and beverages, plaque, and bacteria. Sealants cover the chewing surfaces of teeth and prevent harmful bacteria from creating cavities. If you want to protect your child’s dental health, call Origin Dental to schedule an appointment for dental sealants.